Andrew Buys has been planning Group charters for many years. His excellent work and dedication to providing the best motor and power yacht charters to his clients has resulted in the power yacht Seadream management awarding Andrew the "Excellence Award". What separates Barrington Hall from the rest of the world's top charter brokers? The answer is style, integrity, commitment and a vast knowledge of yachts: The world's finest collection of private luxury motor yachts for charter. "Rolls Royce" engineered yachts from 100 feet to 500 feet, from the "Cannes Film Festival" to St. Barts in the Caribbean. We provide the best Motor Yacht Charters in the industry. 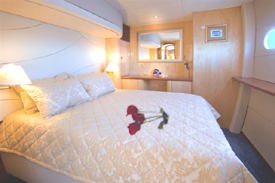 * To present to you high quality, luxury yachts that can accommodate your yacht charter desires. 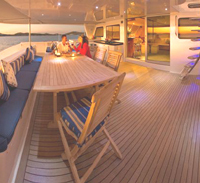 A private power yacht vacation is renting a luxury motor yacht for a one week period or longer. This type of yacht charter allows you to enjoy the Caribbean, the Mediterranean, Bahamas, Greece,the East coast of America and various other charter destinations. A charter contract is required for this type of luxury adventure. Enjoy the splendor of the Bahamas, or enjoy the Caribbean where dolphins and mermaids play. Greece is the land where civilization was first born and The French Riviera is where the rich and famous play. The most popular location for a Mediterranean power yacht charter is the Italian or French Riviera.